With an excellent flavour and good keeping qualities Romaine, also called Cos Lettuce, is the second most popular lettuce next to iceberg. It adds crunch and flavour to mixed green salads and is the lettuce of choice for Caesar salads. 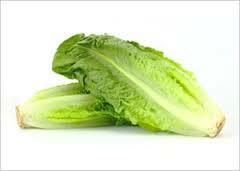 Romaine is normally grown at high density to give a top quality product with excellent sweet flavour. They can be grown all year.